With open plan living still a trend for many developments, a common query is how to create distinct spaces and zones within open plan living areas. Of course, the furniture within these spaces will signify them as kitchens, dining areas or living zones, however you can take your design one step further and use your flooring, or even your walls, to really make a distinction. We recently provided a distinct flooring solution for the superb development, No1 Circular Quay. 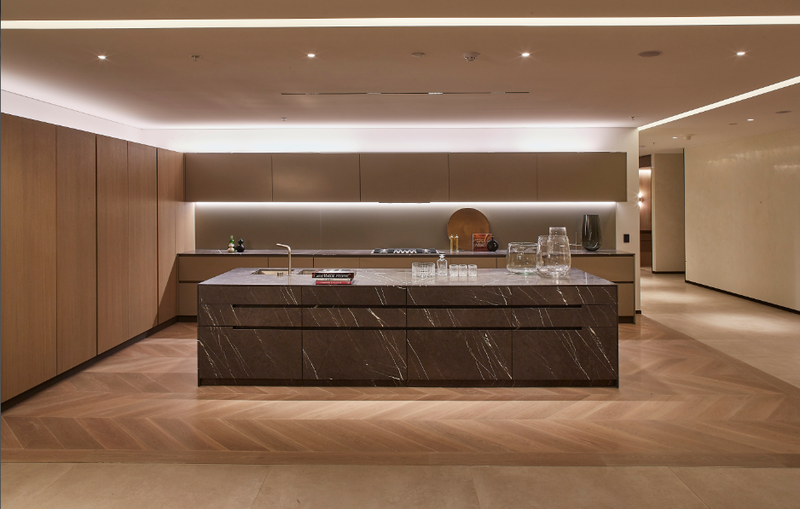 The result is an incredible kitchen space, complete with marble benches and our herringbone flooring. The herringbone flooring used in this kitchen area provides a real point of differentiation for the space, separating it from the rest of the apartment. It is also an incredibly unique feature as herringbone is not a common inclusion for kitchens. By using different patterned flooring, there is the illusion that the spaces are separate, even though the area is still open plan. As well as using different flooring patterns to breakup open plan living designs, consider utilising your walls. Having a timber feature wall can help to create distinct spaces in open plan living and is a stylish addition for a living or dining space. 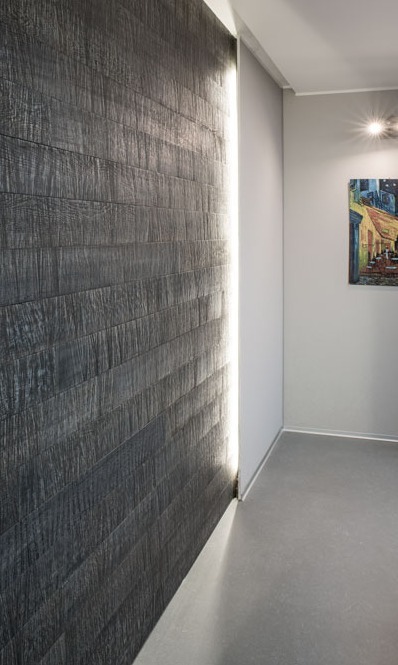 Not only is a timber feature wall a sleek and modern element for any space, it creates a real point of difference and is a unique concept that will make your design stand out. These timber wall images are from our partner, Cadorin. Cadorin provide 100% Italian made timber and their products feature beautiful finishes. 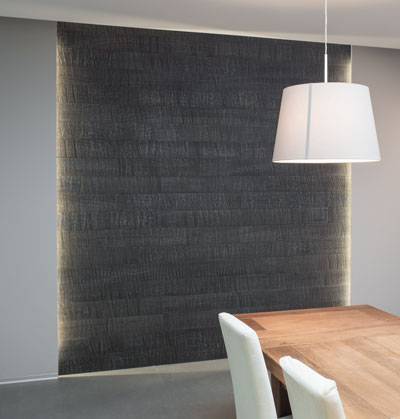 In these two images, the feature wall is highlighted with strip lighting, making it even more of a feature. The wall panelling is also set into a white wall, which contrasts with the dark timber panelling to provide that distinction for this open plan dining space. For more information about our different timber options to create memorable and distinctive spaces in your projects, get in touch.